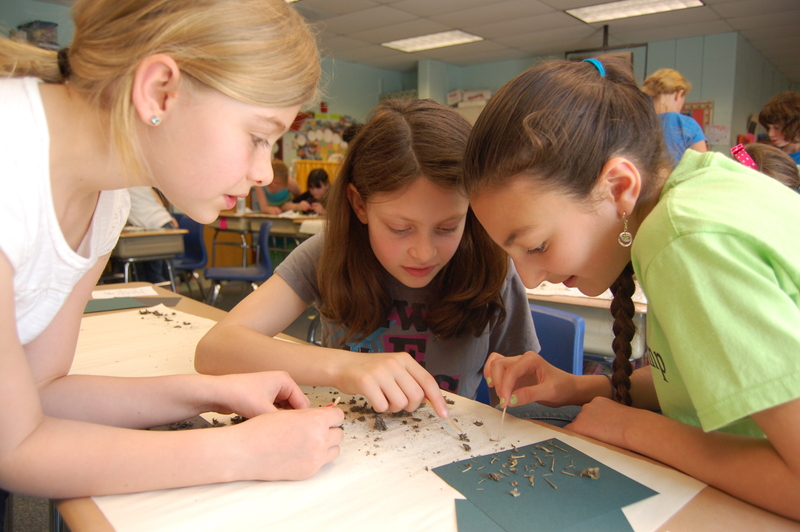 The Bolton Conservation Trust sponsors a special enrichment program at the Florence Sawyer and Emerson Schools that is unique and not conducted anywhere else in the region. The Trust and a few dedicated volunteers introduced the Four Winds Nature Program (formerly known as Environmental Learning for the Future, or ELF) over 20 years ago and, thanks to them and new parent volunteers every year, it continues strong today. The Four Winds Nature Program brings children and adults together to explore the natural world and make meaningful connections to nature. It is these connections that will nurture and fuel us as we work together to address the increasingly complex environmental issues ahead. The natural science lessons integrate key learning standards while practicing important science skills and building an understanding of our local environment. Our program strives to improve the quality of education by providing children with meaningful opportunities to explore the world in their own schoolyard and neighborhood. We bring parent volunteers into the classroom to teach lessons about the natural world through both indoor presentations and outdoor investigative activities. The program is designed to encourage children’s curiosity and concern about the world they live in and to give them an understanding of the way it works and their role in it. How Does Four Winds Work at our School? The success of the Four Winds Nature Program depends on the support of our school administrators, teachers and parent volunteers. Three environmental/natural science topics (click here for more detail about the curriculum) are chosen to be presented in our Kindergarten through fifth grade classrooms each year. Volunteers meet at Florence Sawyer School three times each year (typically September, January and March) for a two-hour training workshop facilitated by our naturalist-educator from the Four Winds Nature Institute of Vermont, Lisa Purcell. These workshops are very important for obtaining the necessary written materials for each lesson, learning the information and practicing the activities they will later share with students. Volunteers need no prior teaching experience and most do not have a natural science background. At the same time, Four Winds helps volunteers develop teaching skills and adapt lessons to various grade levels. Most workshops include an outdoor component that allows students to experience the natural world firsthand – in and around our school grounds – and apply their learning. Our natural science workshops and activities promote understanding and appreciation of the natural world, and increase environmental literacy. Children look forward to Four Winds because the activities are playful, fun and usually have outdoor nature exploration as part of the curriculum. Volunteers enjoy Four Winds because it gives them a meaningful role in our school while enriching their own knowledge of the natural environment. We value Four Winds because students learn hands-on science in direct support of education standards. This gives parents and community volunteers the opportunity to get involved in the classroom and directly interact with the children.